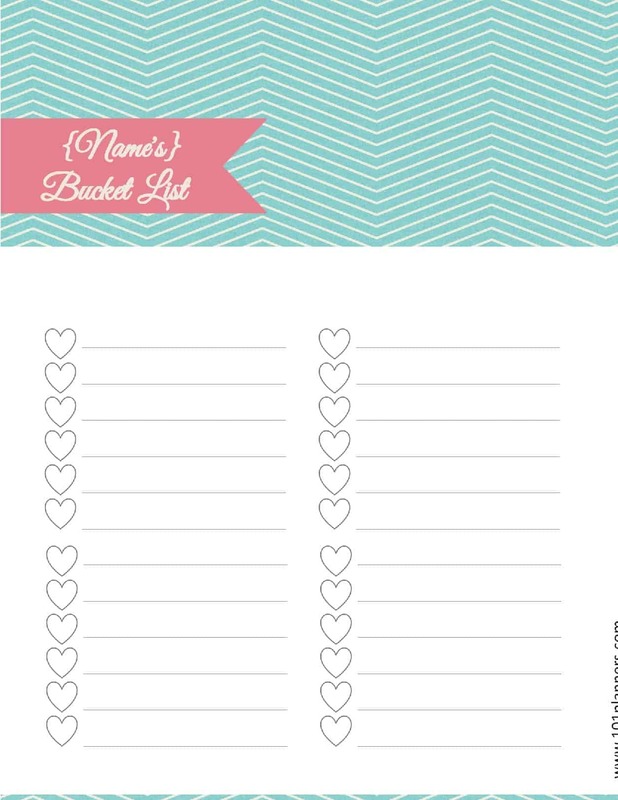 Choose a bucket list template from the selection below. 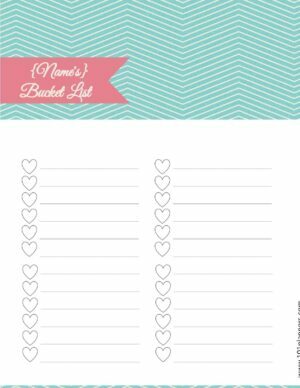 Each template can be customized with your name and the number of items in your bucket list. 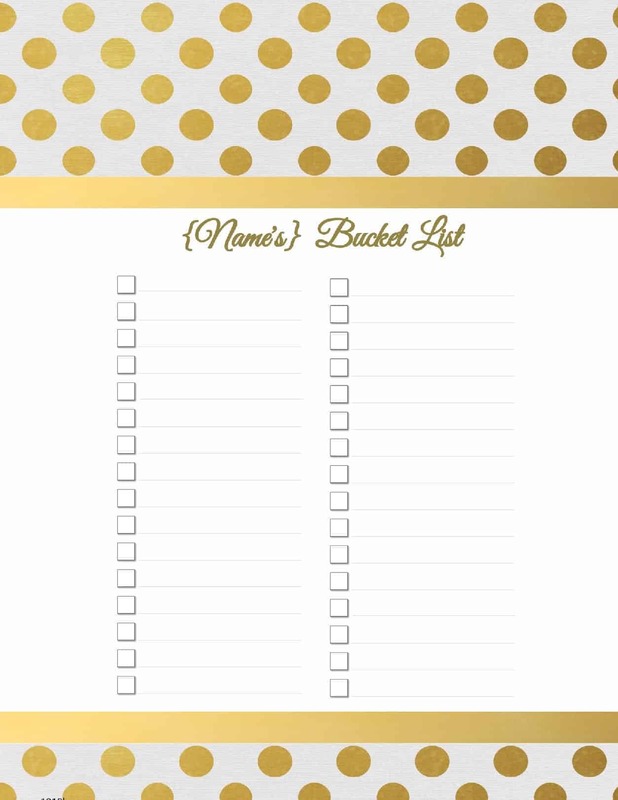 You can also type the list online before you print it. 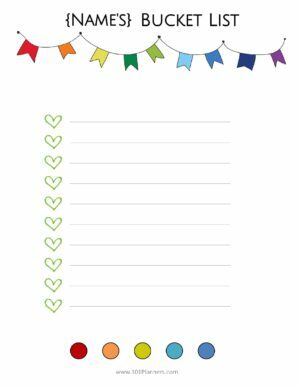 Click on the button with your planner size. Select your background design (101 designs available). 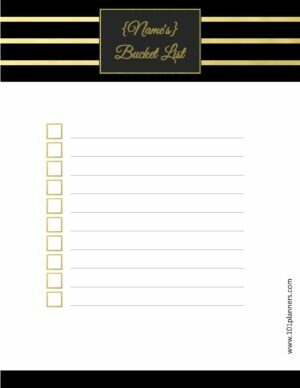 Select the checklist template (many options available). 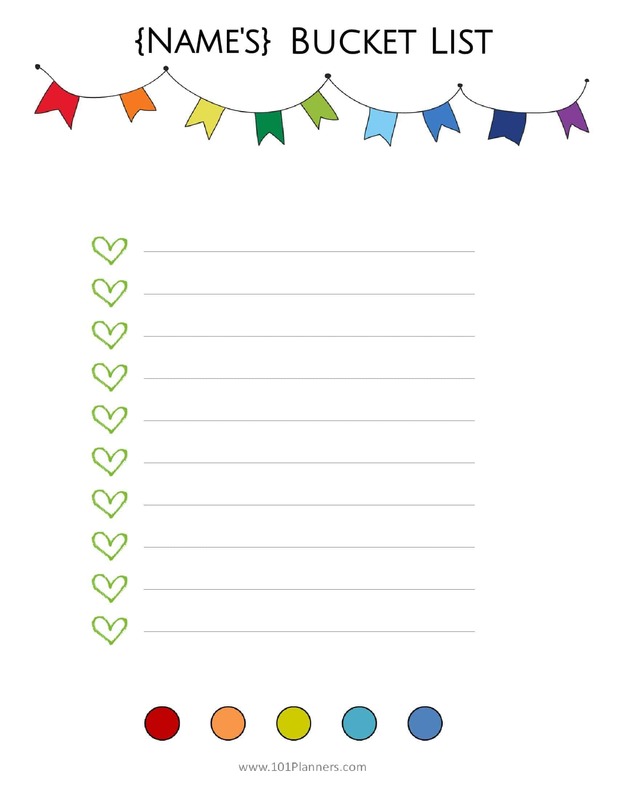 Firstly, choose the design that you want to use from the selection below. Before you download the template, decide how many bucket list items you will have and choose the list that looks long enough. Then change the title. 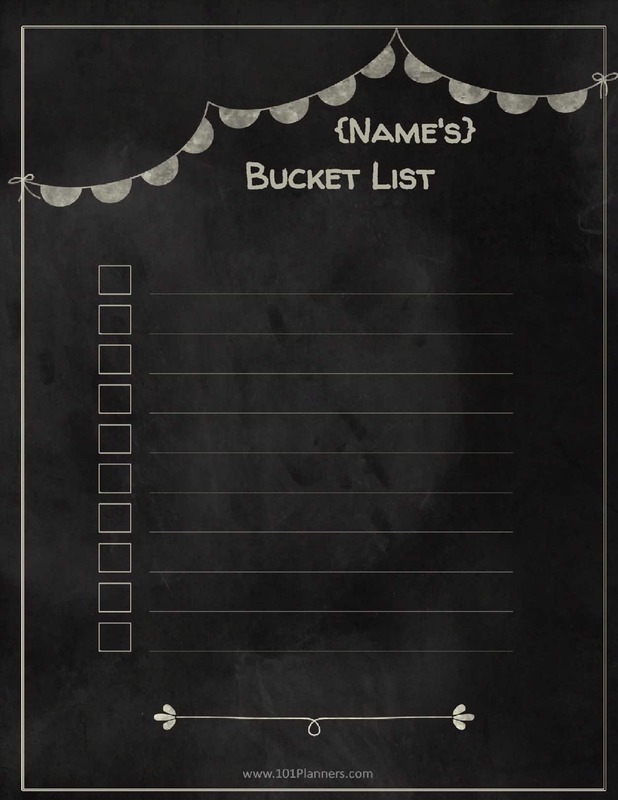 You can now either print the list and add the bucket list items in your handwriting or you can add the list before you print (click on the “A” icon to add an item and move it to the correct position). 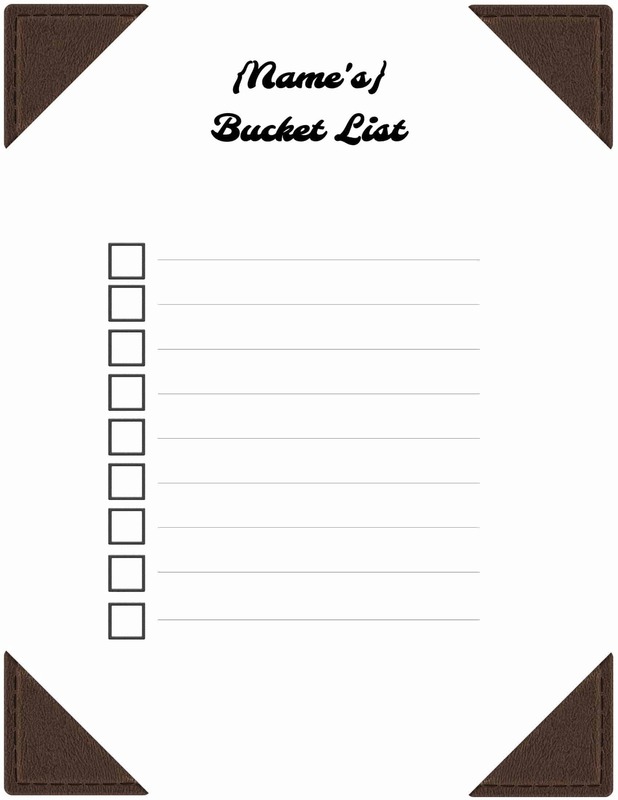 Bucket List Meaning: A list of all of the things that you want to achieve or do during your lifetime. 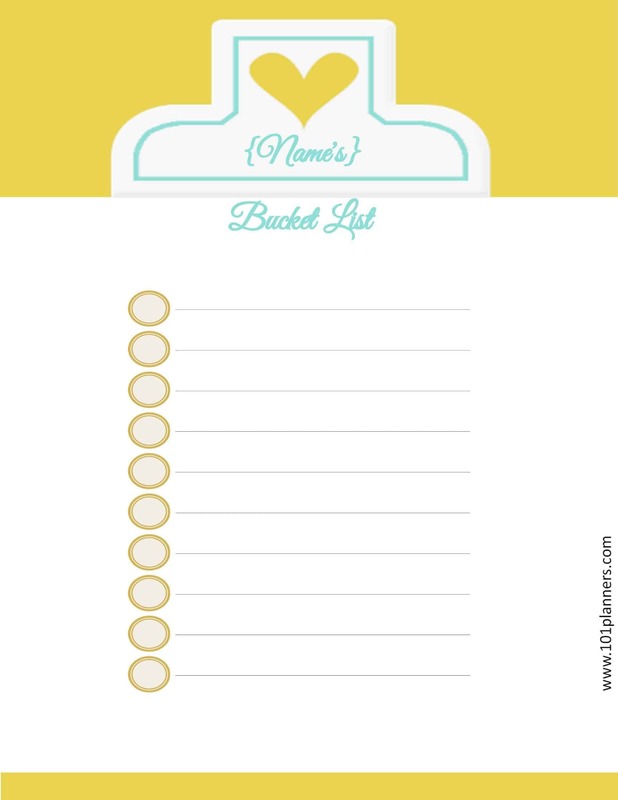 Life is often hectic and many of us are in survival mode most of the time. We don’t often take the time to think of all of the things that we dream to accomplish. 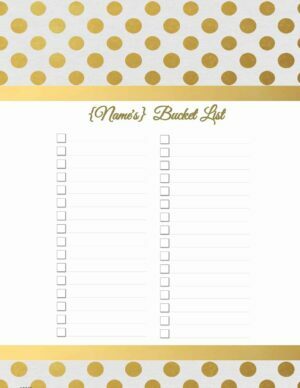 Creating a bucket list can also help you prioritize your efforts in order to ensure that you are working towards the goals that are important to you and not only those that require your urgent attention. How do you decide which things to put on a bucket list? 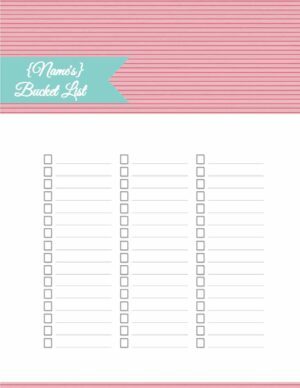 Firstly, add the things that you have always wanted to do but never got around to doing. Think of the cool things that your friends or family have done that made you envious. If you were told that the world was coming to an end what would you like to accomplish before then? 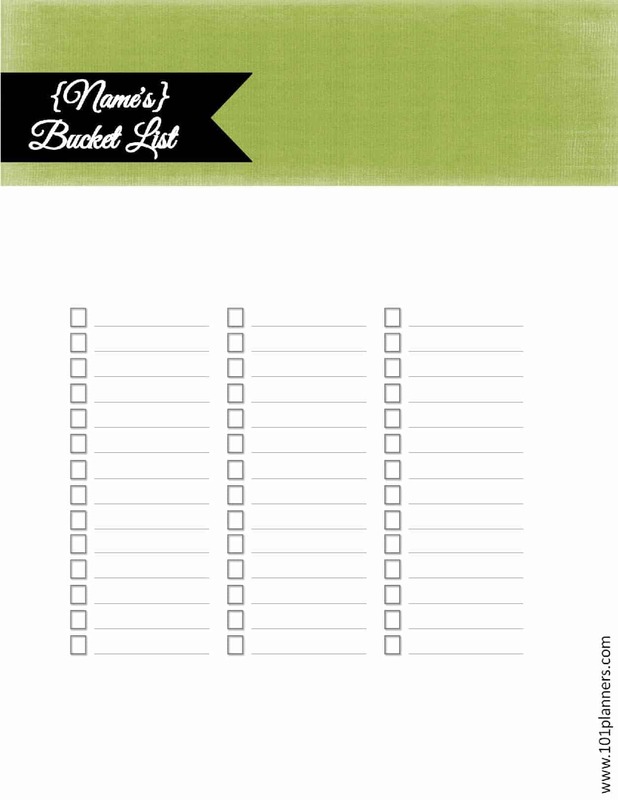 Travel – make a list of places that you would like to visit or landmarks you would like to see. Are there any people that you would love to meet? When you think of the perfect life a famous person might have what do you think makes it perfect? Funny bucket list ideas – do something funny and childish like replacing the sugar with salt or just funny like playing a funny harmless trick on someone. Relationship – is there anything that you want to do with someone special, for someone or to improve your relationship? Is there a sport you would like to learn? Examples, swimming, tennis, squash, baseball. Is there something that you are currently physically incapable of doing but would like to be able to accomplish one day? Examples, a triathlon, a marathon, a half marathon, 150 sit-ups, 3 minute plank, 30 push-ups. Is there a mountain that you would like to climb? Is there an extreme sport that you would like to try? Examples, skydiving, bungee jumping, get a diving license. Is your BMI in the normal range? If not, one of your goals could be to reach a normal BMI. What can you do to make a difference in other people’s lives? Examples, find a way to help someone without them knowing about it, make a bag of care packages and drop them off at a homeless shelter or somewhere where they will be appreciated, donate an organ, tutor someone in need. What is the most memorable thing you can do for someone else? Examples, volunteer somewhere, give an anonymous donation to someone in need, help someone unemployed find a job. Do you want to further your education? Examples, get a degree, do a course, study something you have always wanted to study. Make a list of the skills or hobbies that you would like to learn or try. Examples, knitting, origami, pottery, yoga. Do you want to learn a new language or maybe X words in a new language? 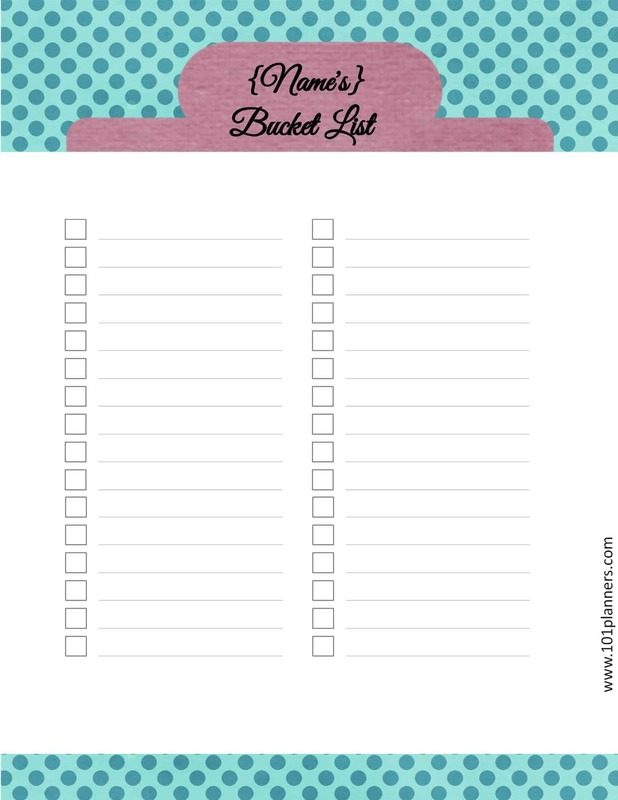 There is no such a thing as the “best bucket list”. What might be important to someone is not necessarily as important to others. 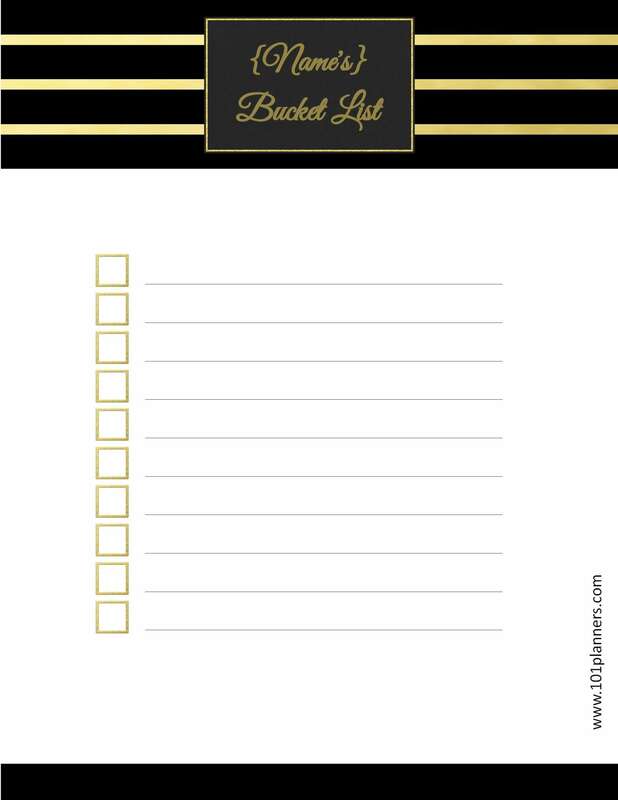 Your list should contain the things that are most important to you. 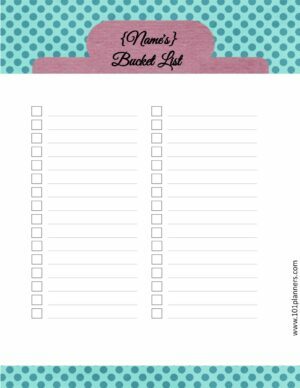 It is your life and your list! 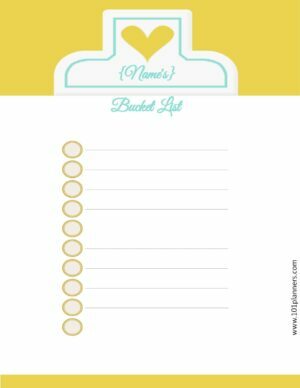 Should you Modify your Bucket List over Time? I think that it depends on why you want to change it. I believe that if your priorities change over the years then it is OK to change goals that are no longer important to you. 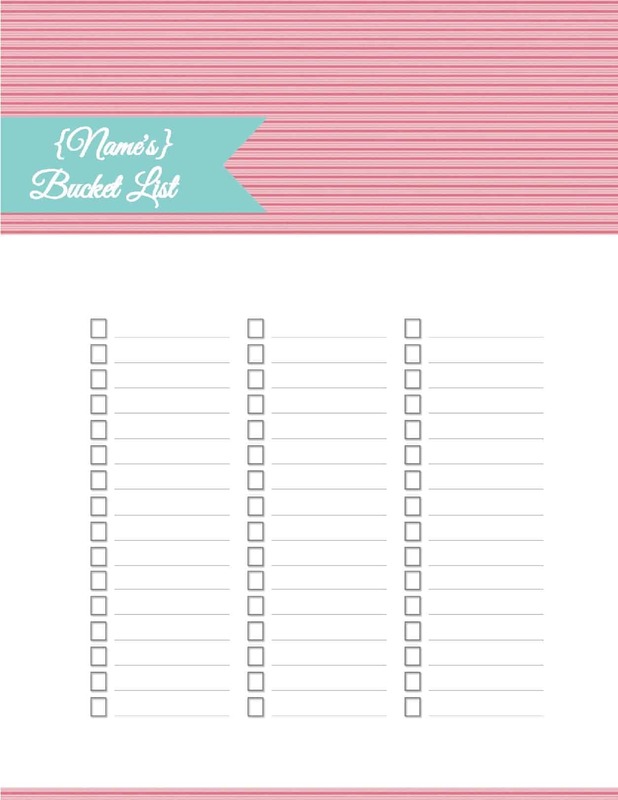 If something that seemed important at the time you created the list is no longer important then I think that you should focus your efforts on things that are important to you. 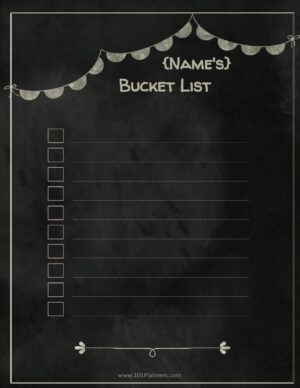 On the other hand, I don’t think that the bucket list should be changed because the goals suddenly seem too difficult. If it is still important to you then I think that it should stay on the list even if the process will be more complicated than you thought it will be.